Like blue-birds on the wing, the irises flutter throughout your new display! Take the cheery lil' ones home today! Standard Bouquet includes 9 stems. Deluxe Bouquet includes 12 stems. 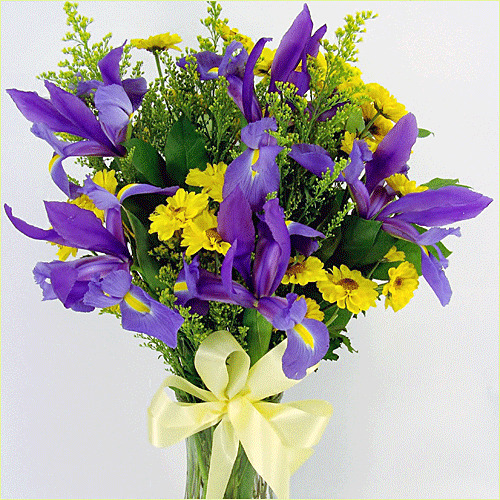 Premium Bouquet includes 15 stems.